Similar to how your classmates may return from spring or summer break with new haircuts, the cast of Gotham are doing just that with the Batman prequel series’ fifth and final season. Though this is to be somewhat expected with TV shows, there’s not always a guarantee of folks sporting new ‘dos to signify the passing of time. 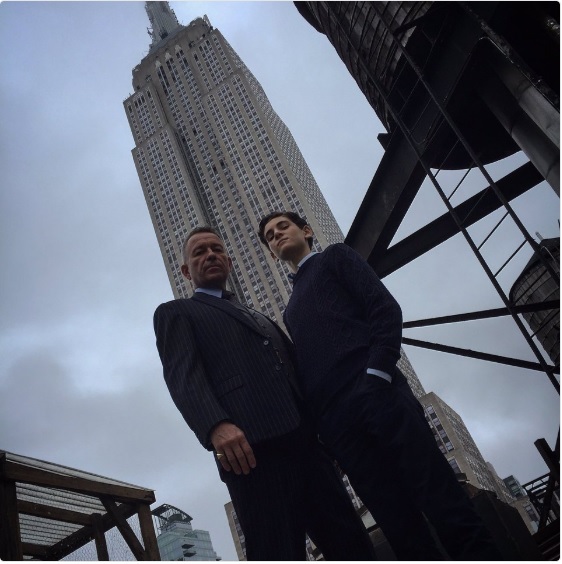 Thanks to some of the creative minds behind the show, we’re able to glimpse at least a few of the stalwarts, the first of which are Alfred Pennyworth (Sean Pertwee) and Bruce Wayne (David Mazouz). From the look of it, the former may have been the only one to have their ears lowered, as producer Tze Chun was quick to compliment him on Twitter. Basically, through the use of emojis, he said Alfred’s hair is on fire. Aside from this looking like the two are doing a photo shoot for their new hip hop album, it may be well advised for Bruce to visit his stylist if indeed he’s to wade back into the dating pool. Then again, he’s going to have his hands full with Gotham City being in a state of disrepair, so he may be otherwise occupied for some time. 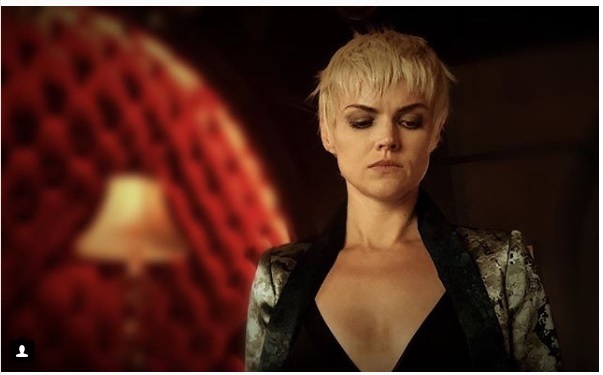 In related news, executive producer Danny Cannon shared a new image of Erin Richards as Barbara Kean (also seen in the accompanying gallery), who’s likewise fresh from the salon. Considering this gal evolves considerably each year, I guess it doesn’t hurt to update her in an aesthetic sense every so often. Personally, I think this is a better look for her than what was seen in season 4, but some of you may feel different.